Have Facebook friends experience the impact of Alzheimer’s disease. At the start of collection week, Alzheimer Nederland launched a unique Facebook campaign to engage younger audiences more in the fight against dementia. The simple tag and photo functionalities of Facebook are being ingeniously employed in this campaign to let people experience just for a moment the impact of Alzheimer’s disease in their own familiar surroundings. The idea of the Facebook campaign is that people are tagged in a photo of a non-existent event. 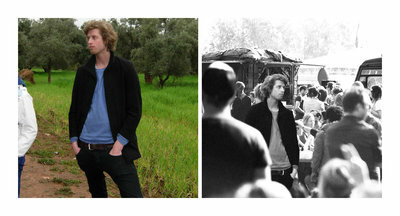 A photo will appear on your timeline of an event at which you can be seen, but that you know you weren’t at. But nevertheless... you really are there in that photo. In this very contemporary way people get to experience for themselves the confusion that Alzheimer's patients face on a daily basis, and thus the impact that Alzheimer's has. 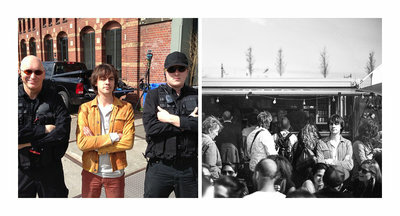 To make the whole thing even more credible, we’re collaborating with existing organizations such as Rollende Keukens, Upload Cinema and Mojo Concerten. They are participating for free in this campaign by hosting a non-existent event on their Facebook page and making photos available. 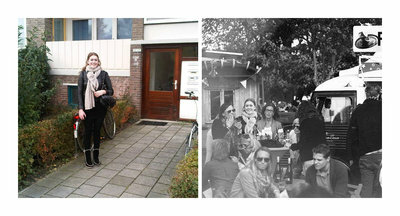 You can then let your friends experience the same feeling by uploading a photo of them via the website www.hetalzheimerevent.nl, which we will then edit and place in a picture of an event. You can see a quick explanation here: youtube.com/watch?v=H967wH192PU. To kick off the campaign, last weekend the first group of people were tagged in a photo and initial reactions show that the experience is having the desired impact. Now it’s the turn of these people themselves to get involved with the campaign. "How disorientating is this? Being tagged in a photo of an event where you see you’re really there, but which you never went to. So this is what Alzheimer's patients feel like..."
"What’s smart and effective about this idea is that for a moment people are totally immersed in a world where confusion prevails." 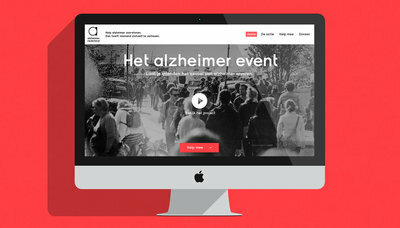 Alzheimer Nederland wants to mobilize more and younger people in the fight against dementia. Not only those who have to deal with the disease, but also people for whom the disease is more remote. The challenge is to make dementia relevant to them. We’ve therefore chosen to make this apparent by letting people momentarily feel first-hand the confusion that dementia patients experience every day. Clearly the experience is challenging and personal, and that brings the problems closer to home. The reason for the Facebook campaign is the start of Alzheimer Nederland’s national collection week. From 4-9 November 2013 30,000 voluntary collectors will be collecting door-to-door for Alzheimer Nederland. 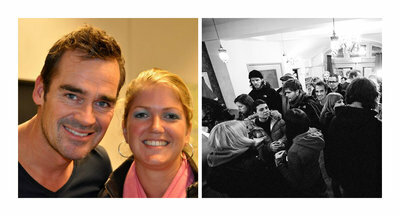 The collection week is an important source of income for Alzheimer Nederland. For more than 25 years, Alzheimer Nederland has been the only organization in the Netherlands dedicated to supporting everyone with dementia and their immediate environment. They do this by funding scientific research, education, support and advocacy. With 52 regional branches and 225 Alzheimer’s Cafés, Alzheimer Nederland has a nationwide reach. Alzheimer Nederland depends on private donations and has the CBF certificate for charities. For more information visit www.alzheimer-nederland.nl. In the Netherlands 256,000 people suffer from dementia. The most common form of dementia is Alzheimer's disease (70 %), followed by vascular dementia (16%). You have a 1 in 5 chance of getting dementia. It is certain that you will experience dementia in your immediate environment. Dementia also occurs in young people. The youngest patient in the Netherlands is 27. Dementia is a disease with the highest burden of illness for the patient. People with dementia live with the disease on average for eight years. During the disease’s duration, both the number and severity of the symptoms increase. There is no cure for dementia. Dementia has the highest care costs of any disease. Dementia is the fourth highest cause of death in the Netherlands. Carers play an important role in looking after people with dementia. On average, there are three people involved in the care of one person with dementia. So more than one million Dutch people are dealing with dementia in their immediate environment.